Who’s Haunting the White House? is the first audiobook to explore the history of the President’s mansion through the ghostly legends that lurk the halls and grounds of 1600 Pennsylvania Avenue in Washington, DC. BOSTON, MASS – April 27, 2018 – “Damn place is haunted sure as shootin’,” thirty-third President Harry S. Truman wrote of the White House in a September 7, 1946 letter to his wife, Bess. Given all of the history made in this building, and the lives lost both inside and due to decisions made within these walls, it’s no wonder that this is America’s most haunted home. Who’s Haunting the White House? 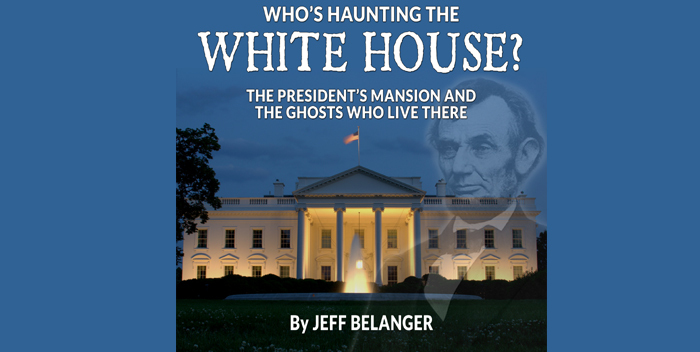 The President’s Mansion and the Ghosts Who Live There by Jeff Belanger released this week on Audible, Amazon, and iTunes. It’s the first audiobook that explores the history and legends of this storied building. Who’s Haunting the White House? has been updated and features voice actors, some sound effects and music, and bonus material including an in-depth author interview on the ghosts of the White House. Stories about strange sounds, disturbing sensations, and ghostly apparitions at the executive mansion date back over a century and have been referenced by Presidents, First Families, and staff members alike. Using letters, diaries, and first-hand accounts, readers hear from people who have witnessed a haunting. Is Abigail Adams still hanging laundry on the premises? Does President Andrew Jackson still make a ruckus up in the Rose Guest Room? Is Abraham Lincoln a permanent fixture in the bedroom that bears his name? Who’s Haunting the White House? is an exploration of history as much as it is about ghosts. The audiobook is 1 hour and 37 minutes long. It retails for $4.86 on Audible.com, $4.87 on Amazon.com, and $5.95 on iTunes. Jeff Belanger is one of the most visible and prolific researchers of folklore and legends today. 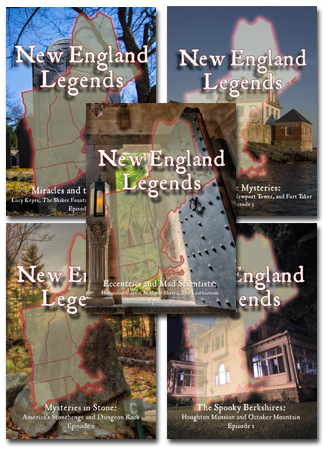 He’s the award-winning, Emmy-nominated host, writer, and producer of the New England Legends series on PBS and Amazon Prime, and is the author of over a dozen books on history and lore (published in six languages). He also hosts the New England Legends weekly podcast. He’s the founder of Ghostvillage.com, and a noted speaker and media personality. He’s spoken at MENSA’s national conference and has given a prestigious TEDx talk in New York City. Belanger has written for newspapers like The Boston Globe and USA Today, and has served as the writer and researcher on numerous television series including Ghost Adventures, Paranormal Challenge, and Aftershocks on the Travel Channel, and Amish Haunting on Destination America. He’s been a guest on hundreds of radio and television programs including: The History Channel, The Travel Channel, Biography Channel, Reelz, PBS, The CBS News Early Show, CBS Sunday Morning, FOX, NBC, ABC, and CBS affiliates, National Public Radio, The BBC, Australian Radio Network, and Coast to Coast AM.